laser wands carry within them the knowledge not of the ancient root civilizations but of the stellar spaces from which they originated. These crystals have a profound and intimater relationship with both outer space and the depths of inner earth. Laser wands have etching and markings on them unlike any on other types of crystals, the writing on these crystals resembles heiroglyphics that entice one into deciphering the symbols that are obviously presented. These crystals that were once used in the healing temples of Lemuria, recorded their own experiences as they gathered knowledge on the human condition and how to heal it. 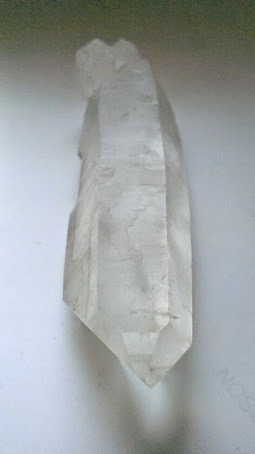 Therefore the more healing that was done with these crystals the more powerful they became the more knowledge they contain, and the more markings can be noticed. 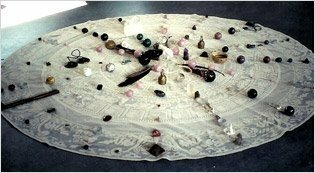 By working with thes crystals one can virtually be educated in advanced healing arts that were practised by the Lemurians.